United For 2030 is a We Make Change community in partnership with The International Development House and the United Nations Association Westminster Young Professionals. We are all organisations run by young people who were frustrated that the Global Goals can seem irrelevant and inaccessible to our generation. This is how United For 2030 makes change happen. The Global Goals can seem irrelevant to young people. United For 2030 will make the Global Goals relevant to all young people by using the language we already use. The United Nations can seem inaccessible to young people. United For 2030 provides any young person with a simple, easy-to-use way to support the United Nations Global Goals. There are few opportunities for young people to help to achieve the Global Goals. 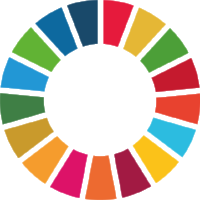 United For 2030 enables any young person to use their skills to develop projects that help to achieve the Global Goals. Here are some of the team behind United For 2030.